Regular Maintenance – DO IT YOURSELF! With your frequent filter changes and careful trimming around your outside unit, your system should give you years of trouble free service. Most trouble is caused by organic particles in indoor air making a mess in your air handler. Your monthly filter changing is the most effective solution to this air quality and maintenance problem. Remember spray chemicals corrode your machine causing damage and leaks. UV Lights are unreliable, full of mercury, and manufactured in 3rd world countries and do not remove dandruff, sneeze spray, and smoke from cooking. Air filters do! So give yourself a break and take care of your filters. Our hot, humid, long summers demand it, that is Step 1 for maintenance. 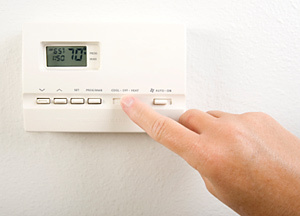 When something doesn’t feel or sound right, give Wesley Chapel A/C a call and we’ll take care of it, that is Step 2. Wesley Chapel A/C Company provides a wide spectrum of essential heating and air conditioning services as we maintain extremely competitive pricing, without compromising quality. We strive to provide the highest level of service, and client satisfaction by setting realistic expectations, and exceeding those expectations. Do I Need A Tune-Up??? If your goal is to enjoy the longest possible trouble free service from your HVAC equipment and you don’t want to be a cash cow for some big A/C company, your expectations are not too high. Scheduled maintenance intervals can be two years or longer under the right conditions. Your monthly filter replacement is the most important maintenance program available, I can’t say enough about it. Beyond filters a few things should be looked after outside every few years by someone who knows what they are doing and has your best interest in mind, that is where we come in. A real routine maintenance visit will take some time and cannot be done with a magic wand. It requires a water hose, some tools, and a lot of care, so don’t fall for the cheap coupon advertisement tune-up. Do it right or don’t do it at all, either way you are better off.